They lock up to begin the match then they do some technical wrestling. Asuka caught her with a kick then Flair tripped and Asuka rolled her up for 2. Asuka with a knee strike then a double footstomp and rolled her up for 2. Flair with a series of chops but Asuka cut her off with a roundhouse kick then a hip attack sending Flair to the barricade. Back in the ring, Asuka worked over the left arm of Flair. Asuka jumped on the back of Flair but Flair got out of it. Flair with a series of forearm strikes then a knee to the back of Asuka’s head. Flair went to the top rope and hit a moonsault but Asuka reversed and locked in a triangle choke but Flair got out of it and locked in a Boston Crab submission hold. Asuka got out of it and they rolled up a few times. Asuka caught her with a kick to the left shoulder and worked it over for a bit. Flair avoided the hip attack and landed a back kick. Asuka hit a suplex from the apron to the floor. Flair talked trash to her and Asuka hit a series of strikes. Asuka with a drop kick off the top rope for 2. Asuka went to the middle rope but Flair fought back with series and hit a Spanish Fly for a near fall. Flair with Natural Selection but Asuka reversed it and locked in head/arm submission. 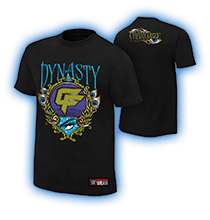 Winner: Flair – still SmackDown Women’s Champion. Will The Empress take The Queen’s crown at WrestleMania? Asuka left WWE fans guessing after her historic victory in the first-ever Women’s Royal Rumble Match: Would she challenge Raw Women’s Champion Alexa Bliss or SmackDown Women’s Champion Charlotte Flair? At WWE Fastlane, that question was finally answered when Asuka pointed to the WrestleMania sign while simultaneously staring daggers at Charlotte. On The Grandest Stage of Them All, the undefeated Empress of Tomorrow will attempt to seize the crown from The Queen herself, in what has potential to be the greatest women’s match in WrestleMania history. Charlotte has been on a red-hot streak during her reign as SmackDown Women’s Champion, knocking off every opponent in her way, including Ruby Riott at WWE Fastlane despite repeated interference attempts from The Riott Squad. To say that The Empress of Tomorrow is her most formidable challenger yet is an extreme understatement. The undefeated powerhouse has an incredible arsenal at her disposal, as well as a charismatic attitude that can give her a psychological advantage over any foe. One thing is becoming more and more clear every time she steps in the ring: Nobody is ready for Asuka – including Charlotte Flair. 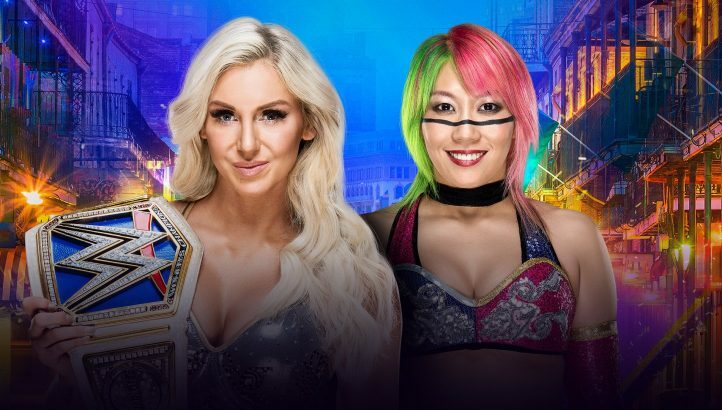 Can Charlotte hand Asuka her very first defeat in WWE, or will the second-longest SmackDown Women’s Title reign come to an end at The Showcase of Immortals? The WWE Universe will find out at WrestleMania 34, Sunday, April 8, at a special start time of 7 ET/4 PT and streaming live on the award-winning WWE Network.